People who are diagnosed with a serious cardiovascular condition may require the use of a cardiac pacemaker or implantable cardioverter defibrillator (ICD)—devices placed in your chest or abdomen to help manage abnormal heart rhythms. A pacemaker uses electrical pulses to help the heart beat normally. An ICD can be used on adults, children, and teens and may be an option if you’re at risk for certain arrhythmias, have survived a sudden cardiac arrest (SCA), or have a heart condition that makes you a high risk candidate for SCA. Patients with congenital heart disease, long QT syndrome, or Brugada syndrome may benefit from an ICD. If you require the use of these devices, it may affect your ability to hold a job and engage in substantial gainful activity (SGA). If this happens, you may be eligible for Social Security (SS) Disability benefits from the Social Security Administration (SSA). However, not all patients who use these devices qualify for SS benefits. There are certain instances and criteria that must be met in order to receive payments. Doctors often use devices like pacemakers and ICDs in patients who have problems with their heart's electric system, resulting in an arrhythmia—a disorder that can affect both heart rate and rhythm. Pacemakers use electrical impulses to help the heart beat at a normal rate, while ICDs are designed to control arrhythmia by delivering a powerful shock when it senses a dangerous rhythm. There are a number of cardiovascular conditions included in the SSA's “Blue Book” Listing of Impairments. However, while arrhythmia is undoubtedly a serious heart disorder, it is often successfully controlled by pacemakers and ICDs. Patients whose condition has significantly improved after the installation of such a device are often unable to meet the Blue Book criteria necessary to qualify for SS benefits. However, meeting the criteria for arrhythmia in the Blue Book isn't the only way to qualify for disability benefits. If your condition requires that you must seriously restrict your activities, and you’ve been unable to work for a period of 12 or more consecutive months, you may still be eligible for disability. In addition to carefully documented medical records, it's important to include a Residual Functional Capacity (RFC) form completed by the doctor who treats your heart condition when applying for SS due to an inability to work. This form discusses a patient's condition and treatments, as well as how those factors affect the ability to hold a job and perform normal daily activities such as sitting, standing, lifting, and stooping. Patients whose condition is not well controlled by their pacemaker or ICD may meet the SSA's listing criteria for arrhythmia if they've experienced fainting (or near fainting) spells at least three times in the past year. Arrhythmia patients may also qualify for SS benefits if they also have congestive heart failure. Do You Need Help Applying for SS? 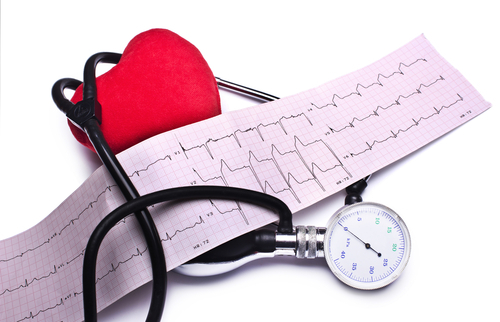 Because the SS Disability application process can be both lengthy and complex, gaining approval for benefits for this type of heart condition may not be easy. Having the representation of a skilled disability attorney can be valuable to ensure that your initial application contains all the necessary information that will save you time and frustration. A knowledgeable disability attorney can also help in the event that your SS application is denied. Contact Keefe Disability Law today for a no-cost evaluation of your case, or request a free copy of the book, Seven Costly Mistakes That Can Ruin Your Social Security Disability Claim. You can also connect with us on Facebook, YouTube, and Google+. Don't hesitate to reach out. Our team of highly qualified attorneys is ready to help you fight for any SS benefits you may deserve.